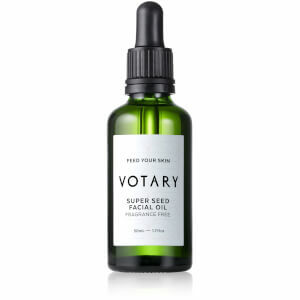 Cleanse your face with the nourishing, luxurious Votary Super Seed Cleansing Oil. 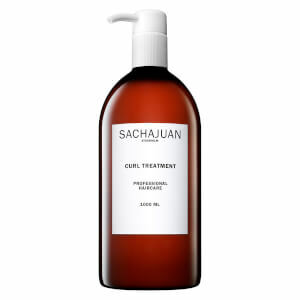 Formulated with a powerful blend of 21 super seed oils and scented with purifying parsley seed essential oil. 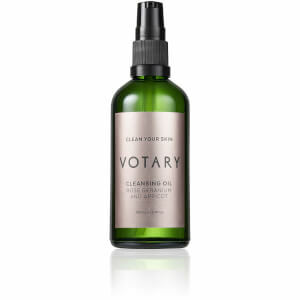 Like a health food for skin, the cleansing oil is suitable for all skins including sensitive, hormonal and maturing skin. The soothing oil will beautifully cleanse skin in the morning and evening, removing all traces of grime, dirt and makeup, including waterproof mascara and comes with a 100% cotton face cloth. Vitis Vinifera (Grapeseed) Oil, Prunus Armeniaca (Apricot) Kernel Oil, Simmondsia Chinensis (Jojoba) Seed Oil, Helianthus Annuus (Sunflower) Seed Oil, Curcubita Pepo (Pumpkin) Seed Oil, Vaccinium Macrocarpon (Cranberry) Seed Oil, Limanthes Alba (Meadowfoam) Seed Oil, Salvia Hispanica (Chia) Seed Oil, Camellia Oleifera (Camellia) Seed Oil, Cannabis Sativa (Hemp) Seed Oil, Fragaria Ananassa (Strawberry) Seed Oil, Nigella Sativa (Black Seed) Oil, Papaver Somniferum (Poppy) Seed Oil, Linum Usitatissimum (Linseed) Oil, Punica Granatum (Pomegranate) Seed Oil, Vaccinium Corymbosum (Blueberry) Seed Oil, Tocopherol Borago Officinalis (Borage) Seed Oil, Brassica Oleracea Italica (Brocoli) Seed Oil, Citrullus Lanatus (Melon) Seed Oil, Prunus Cerasus (Cherry) Seed Oil, Rosa Canina (Rosehip) Fruit Oil, Rubus Idaeus (Raspberry) Seed Oil, Carum Petroselinum (Parsley) Seed Oil, Lavandula Angustifolia (Lavender) Herb Oil, Calendula Officinalis (Calendula) Flower Extract, Daucus Carota Sativa (Carrot) Seed Oil, Limonene+, Linalool+. 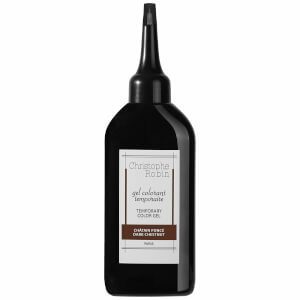 Put 3-5 pumps cleansing oil into dry hands and smooth over dry face. Splash warm water onto skin and massage to help dissolve surface impurities and makeup. Apply a damp flannel to face, steam, then rub oil and make-up away. Repeat this once or twice as necessary. Splash face with warm water and pat it dry with a clean towel.